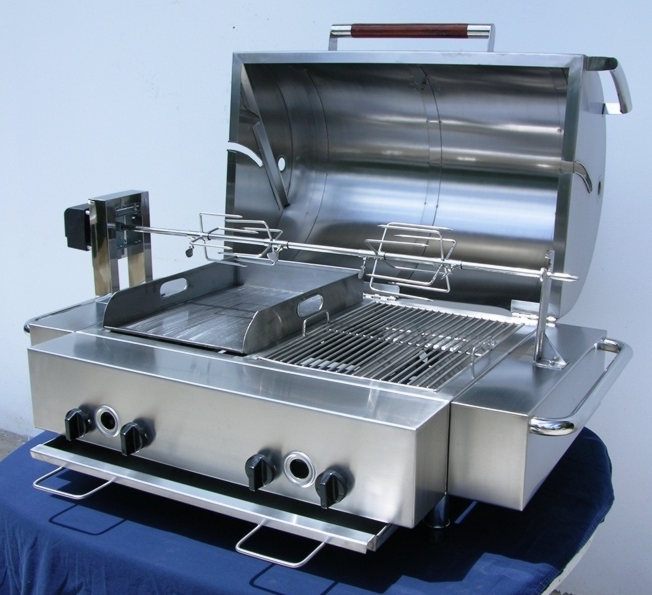 QUIK-FIRE, ‘Red Hot’, answer to an exciting new breed of stainless multi-purpose Gas Barbecue Grills. 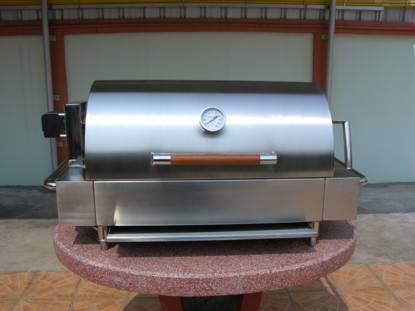 The high performance, QUIK-FIRE, SS Signature Gas Barbecue Grill is one of our most popular selling models. 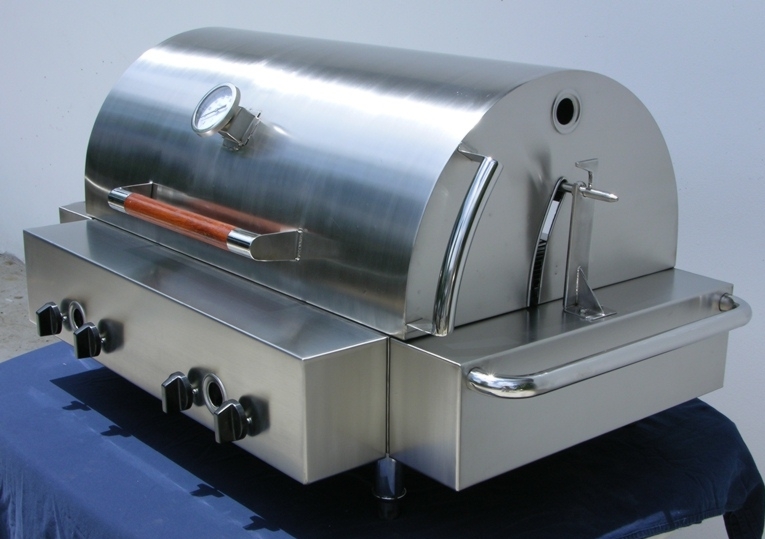 SS Signatures come in a variety of custom designs to accommodate your desired application. 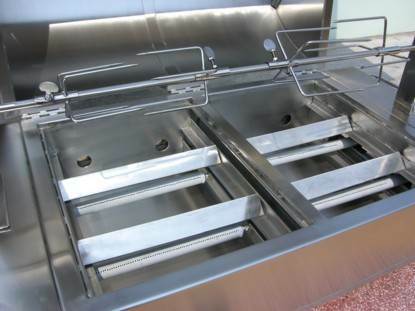 Counter top, free standing, single wall tops, double wall insulated tops, neat looking flat tops, side mounted sparkers, front mounted sparkers. 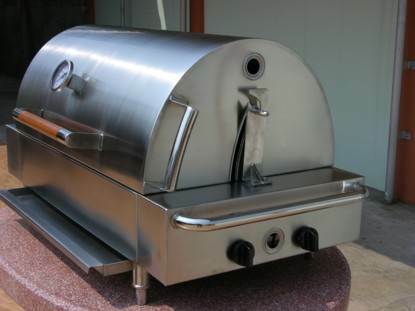 Check out our shopping page link to, www.udonmap.com, to view many most recent posts and the tricked out custom flat top Signature we crafted for our good guy multi-boat customer in, Phuket. His first Signature boat-BBQ is working so well he recently ordered another. 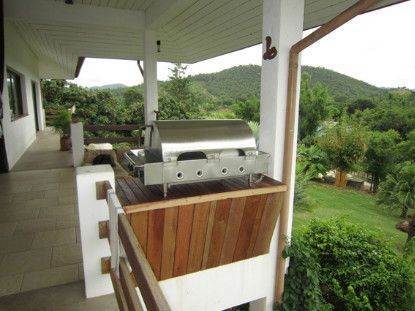 With thick double wall insulated body all stainless fire-wall interior stainless angle irons over each fire tube these hand crafted beauties are made to perform and last! 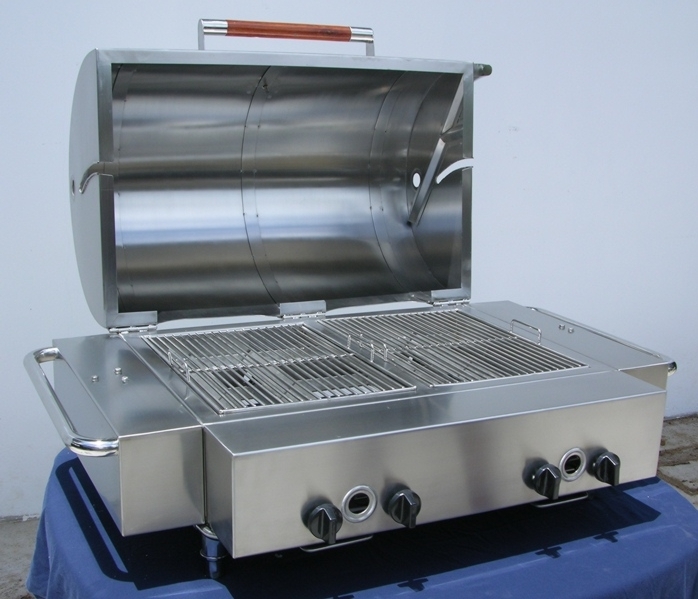 Stainless fire tubes for near saltwater… of course, or for inland use if desired. 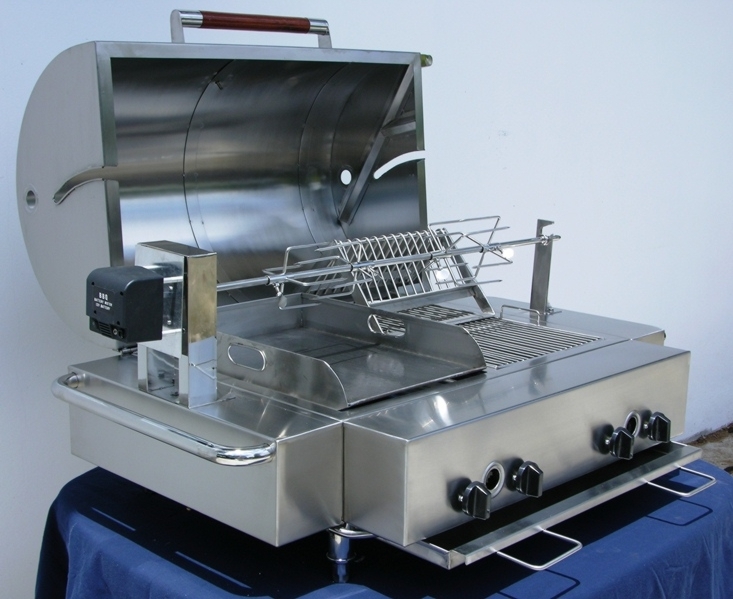 Quik-Fire bbq’s are, welded not bolted, coming to you in one piece! Simply unwrap hook up your gas and begin to bbq. Could it be easier … we don’t think so! 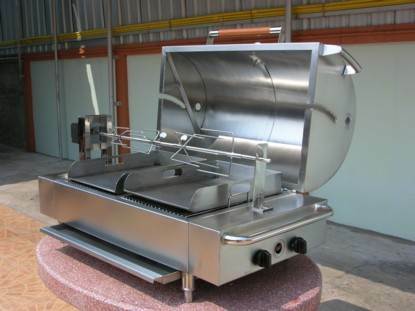 Your four fire tube burners may come into body three ways; two long from one end, two from each end of body, or four front mounted. 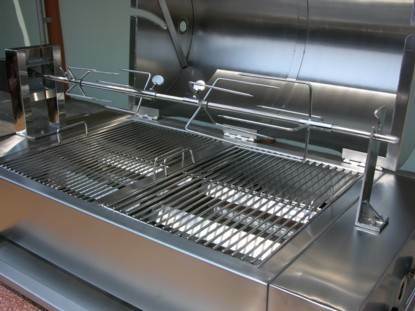 All configurations provide plenty of heat so no worries … Quik-Fire bbq’s are high performance cookers! 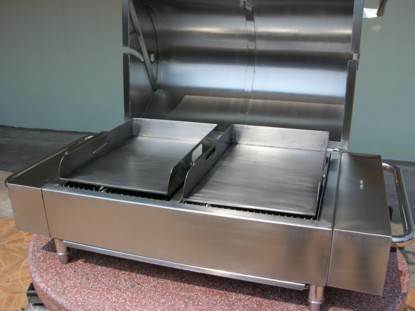 Our Stainless plate hotplates are low maintenance especially nice for those working away from home allot! 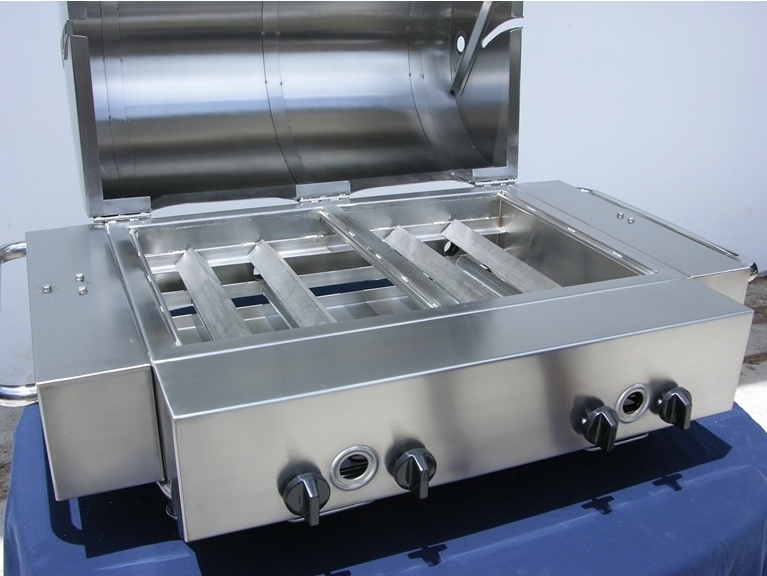 For our Aussie mates you’ll most likely want, Twin Hotplates! 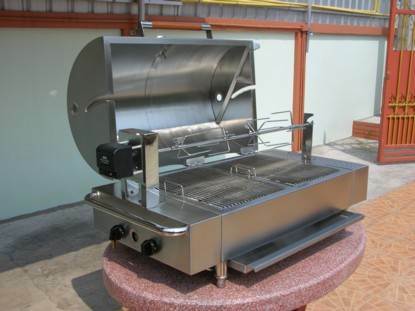 Could firing up the ol’ barbie get any better with both hotplates sizzlin’ throw on your Steaks and Snags grab a few beers and sit back to relax with your, mates. NOTE: 1.) 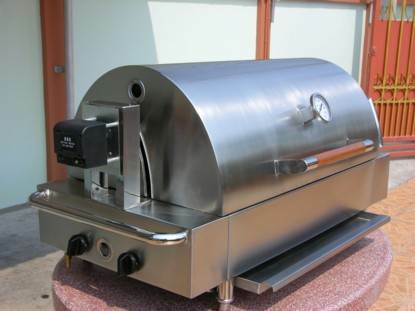 Signature price represents Signature model with, ‘side mounted sparker’s’. 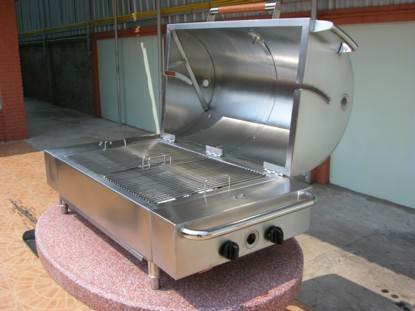 BBQ: Short legs w/adjustable feet for conversion to counter top application, if desired. 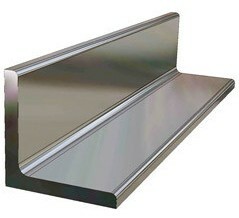 Stainless Steel stand w/stainless adjustable feet for leveling. Regulator/hose set tested with, BBQ. 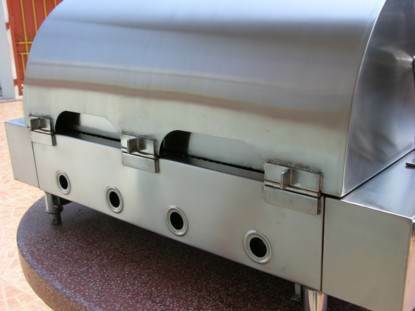 Note: Slotted sides in top have been eliminated. 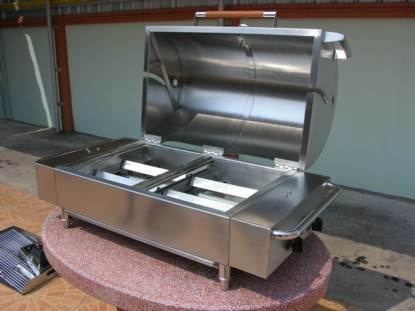 50% interchangeable either side stainless plate hotplate/s. 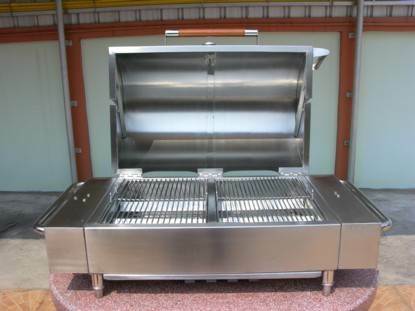 Stainless steel stand with lower storage rack – adjustable feet. 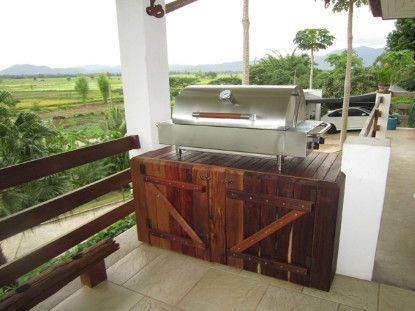 Regulator & hose set tested with BBQ. Personalized customer service at, QUIK-FIRE, is always at hand. 1.) 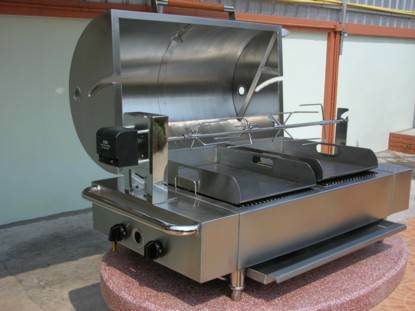 No Pumice stones, synthetic biscuits, or flame tamers due to large removable stainless angle irons over each firing tube. Simple and easy to remove for periodic cleaning. While Barbecuing, these heat deflecting stainless angle irons will provide occasional tickling of sauce laden flame tips up to your meat. 2.) Pumice Stone version: We convert the no stone configuration to accommodate layers of Pumice Stones which some men prefer to more evenly disperse heat when bbqing, baking, or roasting.